Maybe she’s born with it? Gorgeous Renesmae Managh is only four weeks old, but she has a mop of hair so thick that it makes strangers green with envy! 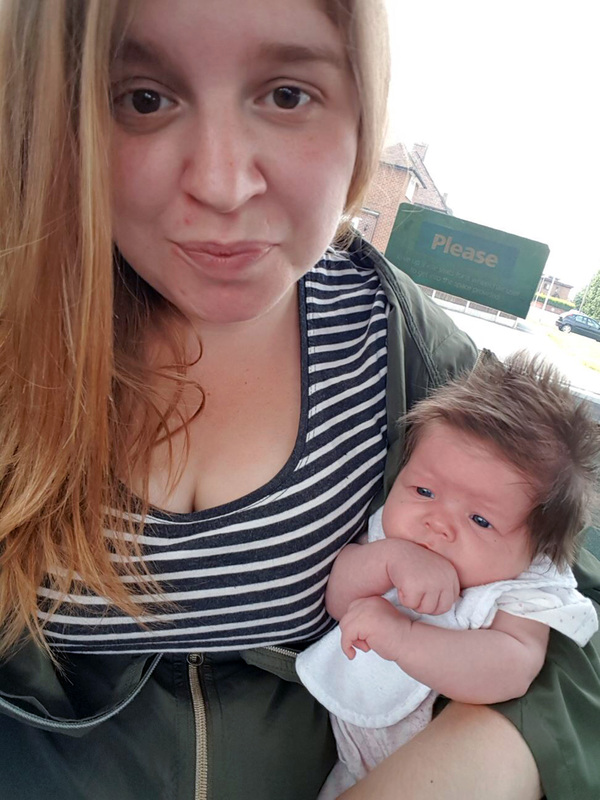 Mum Claire Shenton claims that her daughter’s locks turn heads wherever she goes – and passersby can’t resist stopping to marvel at her hair. 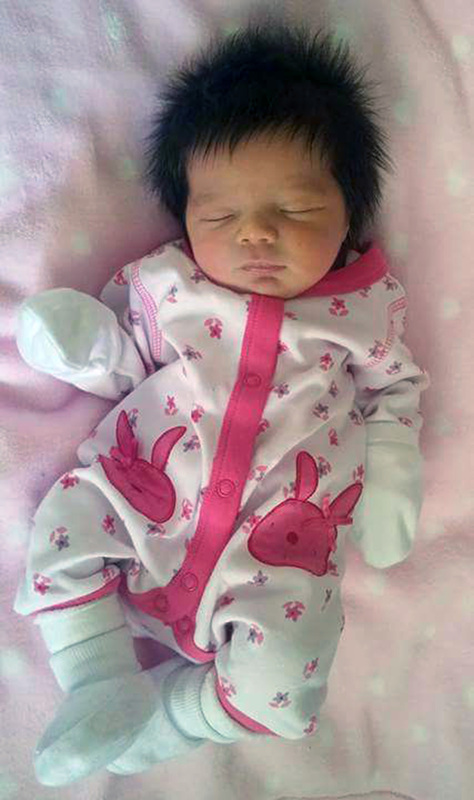 When Renesmae was born, she came out with a full head of hair that has just not stopped growing – both downwards and outwards. But Claire, 24, isn’t surprised as all THREE of her daughters have had uncontrollable manes. Claire said: “I wasn’t surprised when Renesmae was born and I saw her with a full head of hair. “When I was pregnant I suffered with serious acid reflex and heart burn, and that tends to be the tell-tale factor that your baby’s going to be hairy. “There’s absolutely no taming the main though – it’s too fine and frizzy, and sticks on end too much, so there’s no controlling it. 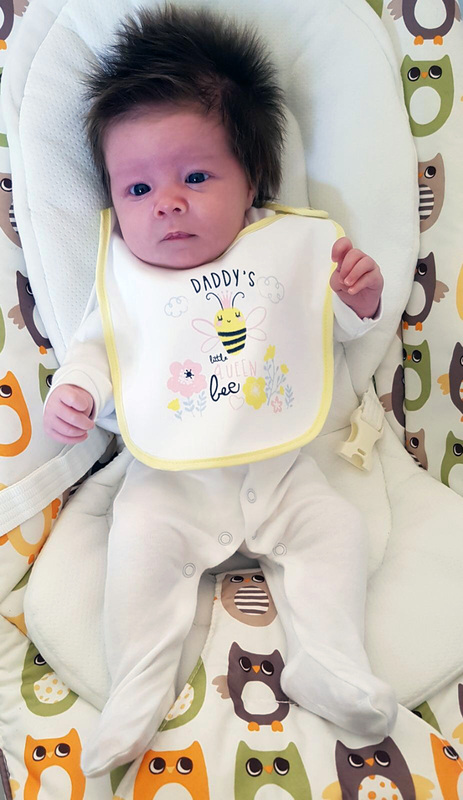 “But I love it, I’m putting off her first haircut and I let it dry naturally because I want her to have really long, thick hair like my eldest daughter has. 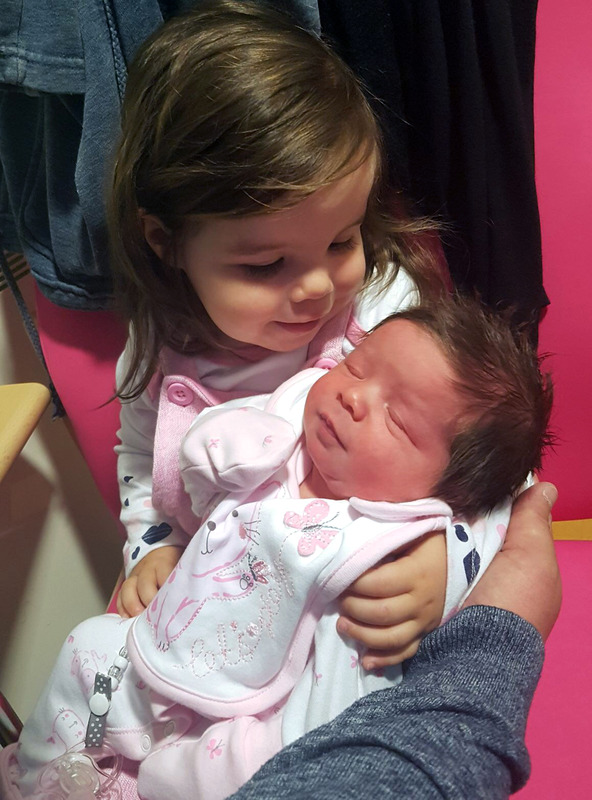 “Luckily her hair never really gets messy – I bath her and towel dry her hair and it just turns fluffy and spikey straight away. However, Claire’s fellow parent friends find themselves uncontrollably jealous about their children’s comparable lack of hair. She added: “Most of my friend’s babies haven’t got a lot of hair – or at least not half as much as Renesmae does. “Every time they see her sprouting more hair they can’t help telling me that they’re ‘so jealous’.